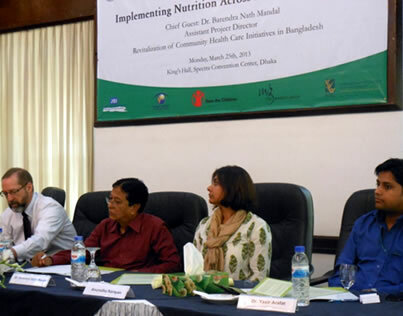 SPRING/Bangladesh recently organized a high-profile seminar highlighting its approach to mainstreaming nutrition and hygiene across agriculture and health partners. 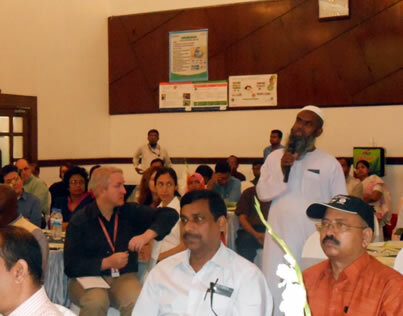 The seminar had over 90 technical and strategic leads from nutrition, agriculture, and health projects, as well as health and agriculture workers from within the Government of Bangladesh and households participating in SPRING's home gardening intervention. 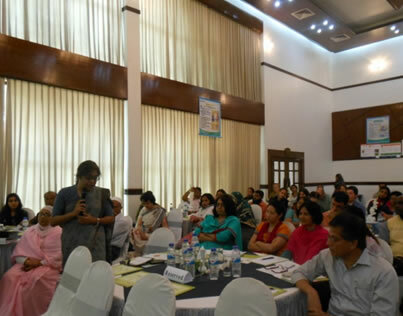 Seminar participants raised the importance of partnering across sectors and working with the government for better sustainability and to promote easily-adoptable "small-doable actions" in nutrition interventions—for example, the making and use of a household "tippy tap". 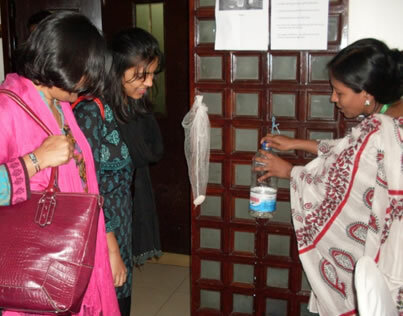 Tippy taps are a simple hand-washing station that can be erected by the toilet and kitchen to encourage hand-washing before handling food and after using the toilet. SPRING was the first project in Bangladesh to popularize the tippy tap, and now over 16,000 households have homemade tippy-taps. 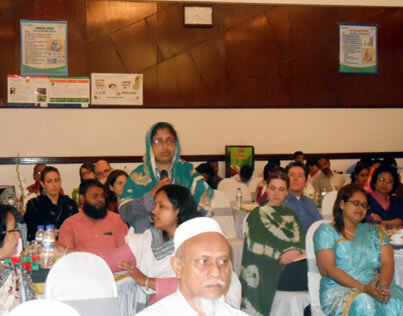 Elizabeth Isimhen Williams, SPRING/Bangladesh Country Manager.